Daily from 5:30 pm to 10:30 pm. We are located in the heart of downtown and offer you and your guests a unique dining experience. 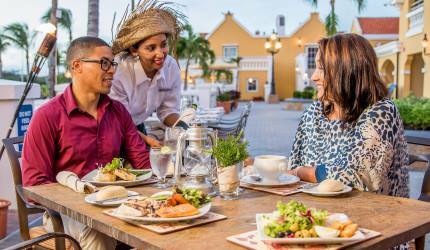 Enjoy the freshest fish, biggest shrimp, or the most succulent Caribbean lobster amid the rustic ambiance of the natural driftwood dining room. Our menu includes a large variety of typically Aruban delicacies including our three star fish soup and our mouth-watering filet of fish served with a mild creole sauce (Aruban Style), a seafood lovers dream come true. Furthermore all dishes are prepared with an Aruban touch and accompanied by pan bati, our famous Aruban corn bread. I’ve been there many times through the years visiting, wait staff are dressed very appropriately and well informed about the menu. 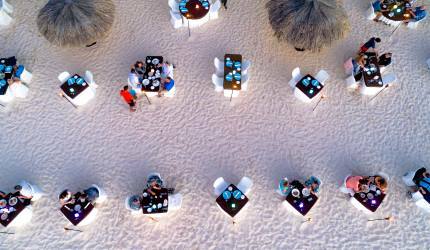 Anyone visiting Aruba it’s a must place to eat!!! Amazing place with excellent staff!! Been going to Aruba about 20 years, never miss a chance to go to the Driftwood, outstanding in everyway!! Excellent food and the staff is the best. Very friendly and funny and they keep you entertained. The food and service were both excellent! From the minute we walked in until the moment we left our service was excellent. They brought us garlic bread with sweet pickled onion sauce and our drinks right away then our appetizers. We tryed the calamari fritti and coconut shrimp both were excellent. For our entrees I chose pan fried blackened Mahi Mahi which was one of 3 choices for the fish of the day, my husband chose blackened shrimp and our son chose pan fried Mahi Mahi Aruban style. We each had a choice of potato or rice, steamed vegetables came with each order and all were cooked to perfection. Our waiter was Andre, he was assisted by Martin and Patty. We highly recommend this restraurant. Situated on a street occupied by prostitutes and homeless this restaurant that claims to serve the freshest fish only offers two fresh catches. Our fish was adequate but the shrimp cocktail was likely from frozen shrimp. Our child ordered the lobster tails, also frozen, since they do not offer fresh lobster and it was soft and going rancid. The children's menu was of poor quality and the waitress admitted the mac and cheese was from Kraft. we had fish at Gianni last night and it was wonderful. cooked and delicious. Service is always incredible. I would highly recommend this restaurant for a dining experience! 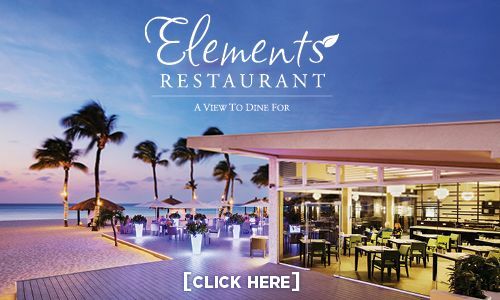 I have visited this restaurant every year we visit Aruba. My hats off to the waiters for there GREAT service! Keep it up.The food is always good. 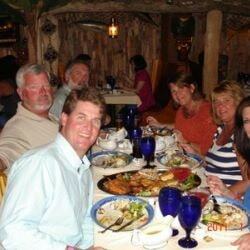 I would recommend this restaurant to anyone that likes good food and GREAT service. Water is always cold and full! Great prices. See you all again soon. The 2 $$ dollar man!! This was our fifth trip to Aruba (Renaissance). Best visit to Driftwood yet. Excellent good (Garlic shrimp and Curry Shrimp). I realize that you are supposed to have the fresh fish, but they can also go off of mainline with great success. I will start with the good which was the food. We both had the Wahoo 2 different ways and it was excellent. The sides are boring a baked potatoe and vegatbles, not much of a presentation.When we received the menus it looked like they use them as placemats. They had food on them and were faded out. 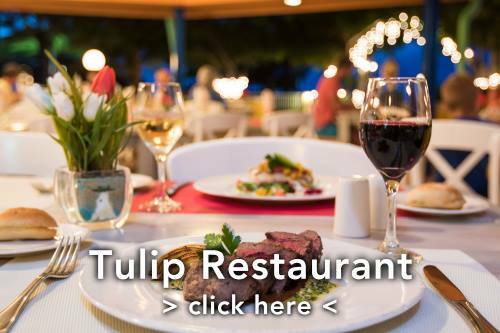 There are simple fixes that do not cost a lot of money that would make this restaurant one of the best on the island.